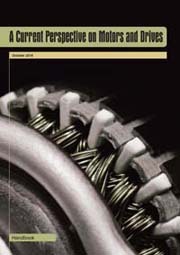 Crown Publications has published numerous handbooks whose content relates to the subject matter covered by its journals. 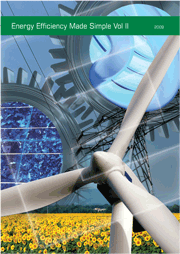 Topics range from Industrial Communications through Energy Efficiency to Transformers and Substations. Crown Publications has also been extensively involved in the production of the Eskom Power Series, created to offer individuals working within the utility environment a source of reliable, reputable and high level technical information. Each book in the series, and there are 12 to date, is written and checked by a team of experienced specialists and consultants. The Eskom Power Series has been recognised worldwide for its practical value and the quality of its content. 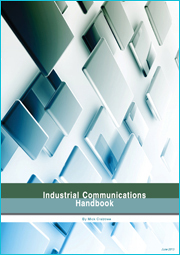 The Crown Publications Industrial Communications Handbook 2016, written by Alan Robert Clark, with substantial input from Tim Craven, gives insight into the changed ‘industrial communications’ of 2016 compared with that of 2005, when the first Industrial Handbook was published. The complicated topic is tackled, often in a light-hearted manner... making it tangible and easily understood. Chapters 1 – 3 cover the basics of radio communication. Chapters 4 – 6 cover the all-important aspect of security, as well as Greenfield challenges. Chapter 7 deals with some of the changes that make Ethernet a better fit to Industrial Communication. The author rounds up with concluding comments in Chapter 8. Prior to the turn of the century, few people could envisage any possible environmental effect of using less energy. Energy efficiency was not a read concern but was seen to be on the fringe of the real value of industry, which was to 'product better products at better prices, and optimise the bottom line'. Because it now costs so much more, energy has a major impact on that bottom line which has forced us to recognise the importance of energy efficiency, energy management and the fact that every step we take to optimise a process makes it more effective and profitable. This handbook takes you on a journey through some of that thinking - looking at the basics, the existing and the developed - and asking questions about what the future may be like. At the end of the day, in as much as we need to change or rethink technologies we use, so too as people we may need to rethink what we do and how we do it. Once upon a time, the substation was ‘the building over there', or the ‘room in the basement'; and the transformer the ‘thing with the tubes that hums'. 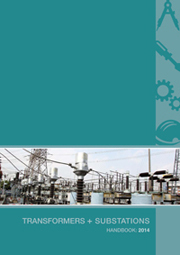 This has changed and ‘Transformers + Substations Handbook: 2014' allows you to reacquaint yourself with one of the most important parts of any system, the substation and its content, and the transformer as the key device. This change relates as much to a utility, a building or a plant. The change has been profound. The cynics amongst us may argue that the transformer is the device that drips oil all the time and the substation the building that had the explosion. This view is not far-fetched as the issue of maintenance has a specific poignancy in South Africa at the present time. 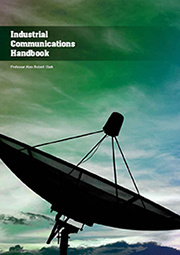 It's coming up for five years since we published the previous Industrial Communications Handbook in 2008 and, once again, many changes have taken place. There have been small but significant 'tweaks' to some of the existing technologies' and there's been a huge uptake in the use of wireless technology - with still no end insight to the so-called 'Wireless Wars'. And then there's the 'Smart Grid'. 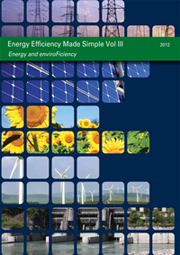 It is with pleasure that we release Volume 3 of the Energy Efficiency Handbook. If you think about it, energy efficiency is a concept that has challenged humanity for centuries. Perhaps it has been more often thought of as doing things more efficiently or easily. We discovered the wheel (really, it was hardly an invention!) to allow us to move stuff, and we figured out how to save our own energy on cold days by making fire ... And so it goes. Doing things better and better. This handbook comprises the writing of some wonderful authorities and thinkers - challenging us to accept that we need to change, but also that we need to do what we do better. While it has not been possible to include every topic that we would have liked to, we have attempted to ensure that the hotter topics have been covered. The way we control and manage motors has changed. Advances in electronics, the incorporation of drives into overall control systems and the realisation that motor and drive optimisation can have a significant impact on the bottom line has necessitated a look at current issues in this field. This handbook does not pretend to be more than a perspective but we have assembled a formidable team of authors who have shared their knowledge and understanding allowing readers to gain in overall insight into current trends, technologies and strategies. The book is divided is organised into nine chapters, written by a variety of industry experts. Our sincere thanks go to Henry du Preez and all the authors who have so willingly contributed their insights. Launched in June 2009, this reader-friendly yet definitive handbook on energy efficiency addresses the various technologies available, provides workable solutions for the current energy crisis and suggests sustainable solutions for the future. 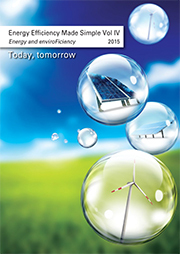 More than 50 authors, all specialists in their various fields have shared their knowledge and expertise to guide and educate industrial, commercial and residential markets on the concept of saving electrical energy – and to raise levels of awareness regarding cost-effective savings potentials.